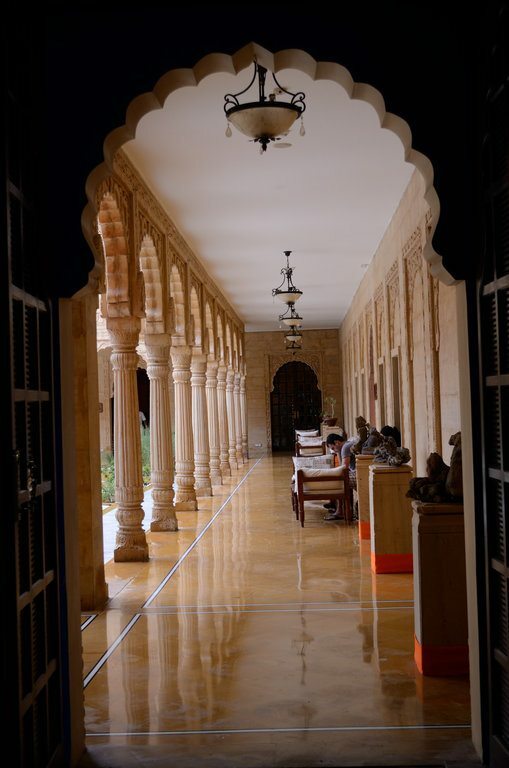 The rain stops and the sun’s rays stroke the pillared corridor of the palatial fortress Suryagarh. A pair of peacocks saunter in and stretch themselves lazily on the lawn.The sun is finally back and it is a cue for me to step out and explore one of the oldest forts in Rajasthan built in Jaisalmer in the 12th century by Bhati Rajput king Rao Jaiswal . The bastions tower over me as I enter the fort. There is a bit of traffic as locals elbow their way through the narrow lanes, even as they are outnumbered by large numbers of tourists who throng the palaces around. I crane my head and look up at the 99 bastions of this citadel, brimming with life as more than 4000 people have called this fortress as their home for decades. The homes may have now become home stays and hotels, but it is one of the largest living forts in India. 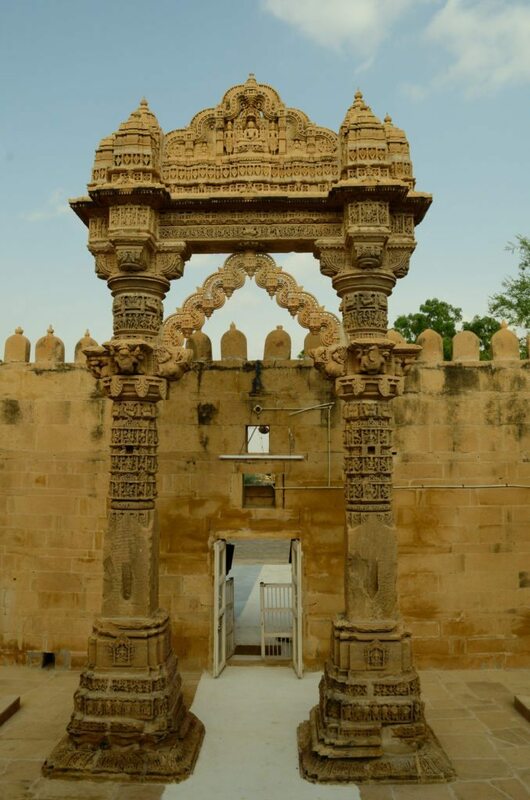 I wait for the crowd to clear and enter the first temple – a beautiful shrine dedicated to Chandraprabhu and adjacent to it, is another temple dedicated to Rikhabdevji. Every wall in the temple is carved in sculptures and Raju tells me that the style is borrowed from the Dilwara group of temples built in Mount Abu. More temples are dedicated to Paraswanath, Shitalnath, Sambhavnath and Shantinath, while there is a statue of Mahavir in emerald . And that is when I hear about Lodurva, an ancient village in the Thar Desert. 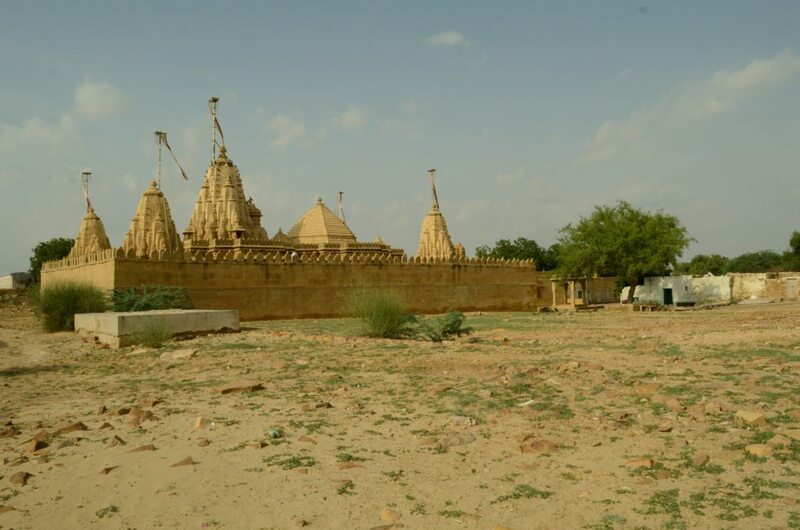 Located about 15 kms from Jaisalmer, this was a small village that has moved from the historic map to the tourist map. 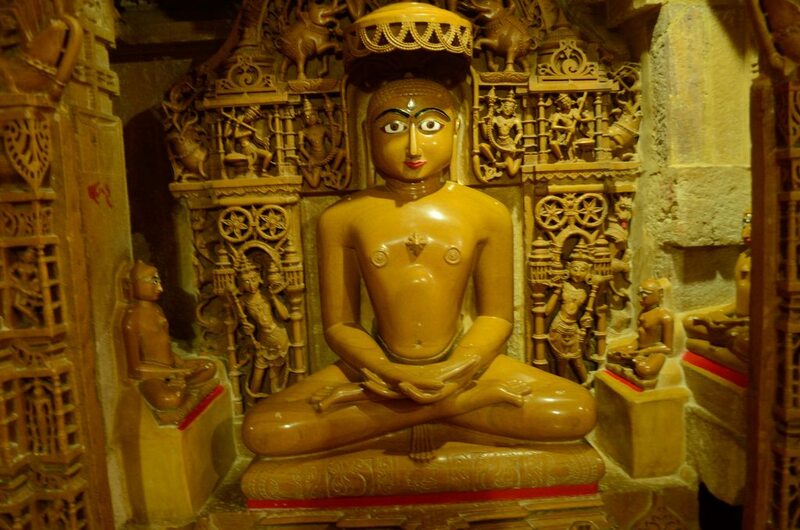 “ You must see the Jain temple there, “ insists Raju as we head out of the town. There is a beauty in the barrenness as the green cacti stand out in the ochre sands. The sky is a bit overcast . Raju tells me that Lodurva was the ancient capital of the Bhatti Rajputs before Jaiswal built the fort atop Trikuta Hill and founded Jaisalmer. Silence greets me at Lodurva. Another couple of tourists join me as I enter the Jain temple here. Built originally in 12th the temple along with the town was ransacked several times by Mahmud of Ghazni and Mohammad Ghori . “People fled and left their homes and Lodurva became completely deserted after the Bhattis changed their capital to Jaisalmer, “ says Raju. The temple was eventually renovated but today, it lies like another obscure village in the desert. I sit there for a while, roaming around the temple, until the dunes beckon me. Beautiful photos and place! Has this mysteriousness associated with it because its not crowded with people. Beautiful! I so love the temples and forts of Rajasthan! Beautiful place to Visit. Attractive portrayal. Traveled to Rajasthan this October and Jaisalmer was a part of my programs. I must say a beautiful place to visit while in Rajasthan. I am considering another backpack trip to India next February. Last time, I traveled around on my own and there were certain places where I felt I should had pre-booked things with a local travel agent. What do you recommend for next time. Suggestions are most welcomed. Thanks a lot in advance! Lodurva looks like a great find! 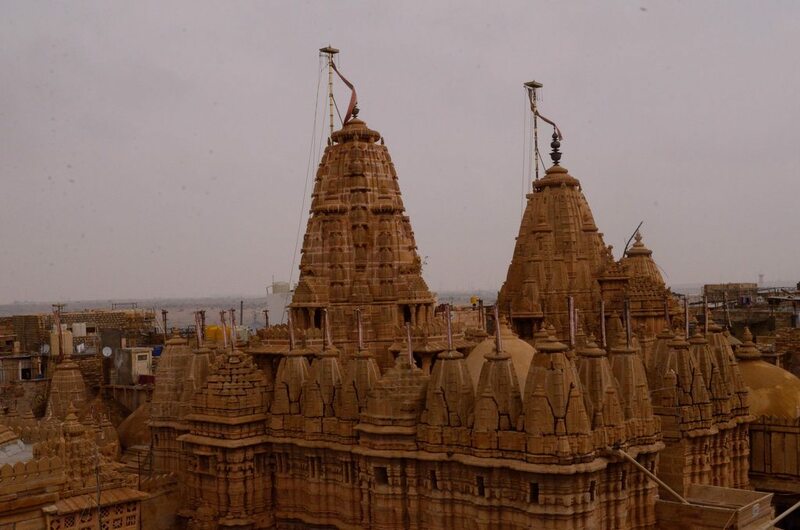 I was surprised at the number of intricately beautiful Jain temples I saw when I visited Jaisalmer – note to self: another reason to read up adequately about the destination ahead of a visit! But Lodurva must be much lovelier because it stands alone and isn’t thronged by crowds. Beautiful pics. really a beatiful place to visit. n specially the food is really awesome. Why nothing about Lodharva’s Temple Details is mention, why is no route for reaching there is clearly told? What is the Special about Lodharva Parasnath? Lodurva is of course a must see places in Jaisalmer,as it was the ancient capital to the region before the foundation of actual Jaisalmer fort.The temples are magnificent and one of the 05 Jain pilgrimage centre in India for Jain followers.There is an King Cobra reside in the temple from many decades and is very important for the Jains becuase this temple is dedicated to prophet number 23,(Parshvanath),the symbol of the prophet is King Cobra which can be seen of any of the 23rd prophet statue in all the Jain temples.It’s believed that the prophet himself is there in the temple …..
Its not rikhabdevji , its Rishabhdevji…..please rectify it. Its not rikhabdevji, its Rishabhdevji..